Dental Veneers are amongst the most popular cosmetic dental treatments that Greenline Dental Centre offers. They are very popular because they are permanent, custom made, and give a great result. Very simply put, porcelain veneers are a layer of tooth-colored material that we attach to the tooth in order to cover it completely. We offer you dental veneer treatment for a variety of dental problems. These include chipped or crooked teeth as well as discolored and stained teeth. Porcelain dental veneers are also used to cover visible spaces in between two teeth in order to improve a smile. We also offer this treatment to people who wish to improve their appearance by whitening their teeth, as veneers can be viewed as “long-term whitening”. Porcelain veneers look extremely natural and it is very difficult to distinguish them from real teeth. The additional advantage of these veneers is that they are extremely durable and resilient. At Greenline Dental, we offer three types of dental veneers. The most common type is made of porcelain. Also known as dental porcelain laminates, which are made of pure porcelain. They are reasonably durable, being able to last for at least 15 years if you look after them well. These laminates are a top choice by most people because they are extremely stain resistant. Porcelain laminates are wafer thin, but gain their strength once bonded to the tooth. Porcelain has the ability to reflect light in the same manner as teeth. This means that your porcelain laminates will look just like real teeth and people will just assume that you have an unusually well maintained and even looking set of teeth. We also offer resin composite veneers. These are made out of a tooth-colored filling material that is placed on top of your tooth in order to cover it completely. Composites have two very important additional advantages. One is that they can be placed on your teeth in one sitting only and the other is that these veneers can be repaired easily. There is no difficult manufacturing process involved. 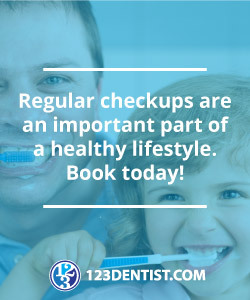 In fact, we will fix it in your mouth directly and in one sitting only, thereby making the entire process very trouble free. Lumineers are a third alternative that we may suggest for cosmetic enhancement of the front teeth (such as whitening or tooth lengthening). Lumineers are extremely thin and can be fixed to your tooth without it having to be reshaped. This means that you do not need to lose any of your natural tooth structure. Contact our office to find out how we can be of assistance to you. We will be glad to answer all your queries regarding veneers and other treatments.